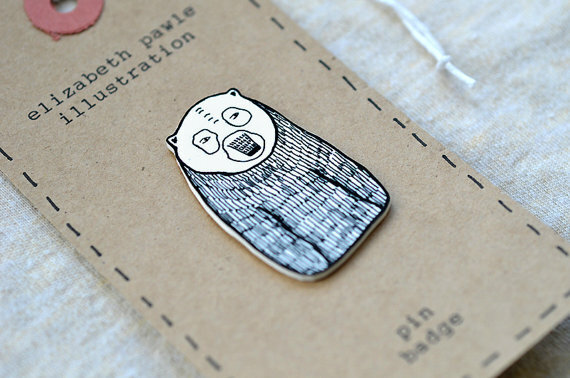 Recently I stumbled upon Elizabeth Pawle Illustrations on Etsy. 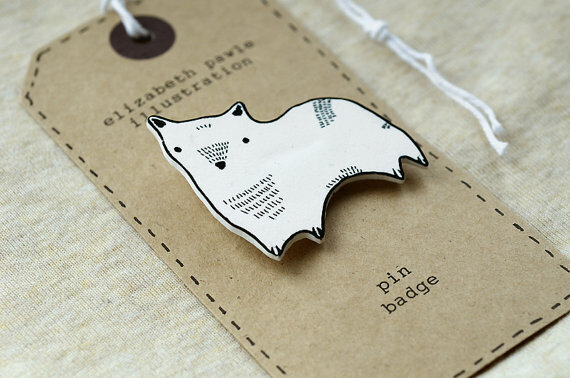 I love illustrated pieces and wooden brooches so naturally when I found her shop I was smitten. 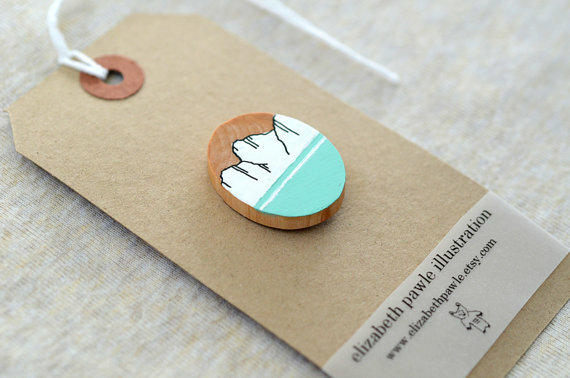 My absolute favorite item in her shop has to be the Peppermint Mountain brooch! I love the color of course and how it pops against the white glacier like mountain behind. Here are some of my other favorites from her shop! 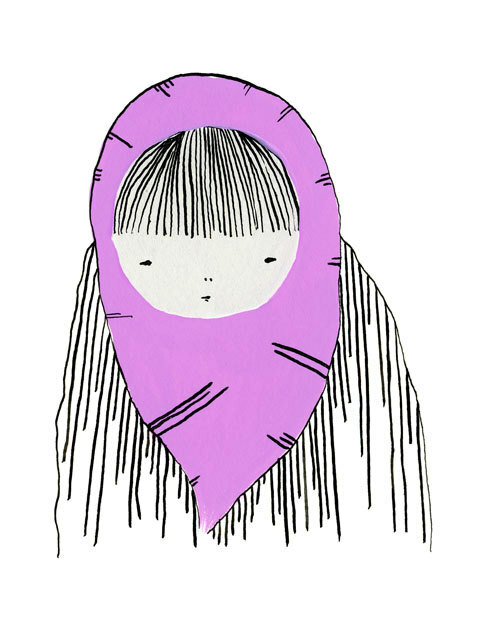 Go stop by and check out all the other amazing items she has available! hey! found you on the gfc hop. love your design and pics! looking forward to following. Stopping by from the hop. Looking forward to following your blog!